Huawei was next in line to launch its new flagship offerings at the Mobile World Congress 2017. The smartphone manufacturer wanted to build camera-centric smartphones and that is where its partnership with Leica came in handy. The Huawei P10 and P10 Plus feature a dual lens (20 MP Monochrome + 12 MP RGB) setup from Leica which has 3D facial detection, dynamic illumination, and natural portrait enhancements to give you the best portrait photos. The front 8MP camera has ‘groupfie’ detection capabilities which help it switch to a wider angle setup to accommodate the crowd. The Huawei P10 and P10 Plus are available in a myriad of colours; Ceramic White, Dazzling Blue, Dazzling Gold, Prestige Gold, Graphite Black, Mystic Silver, Rose Gold, Greenery. The Huawei P10 is the smaller of the two as it features a 5.1inch Full HD resolution display with a pixel density of 432ppi. Underneath the hood, we find the homegrown Kirin 960 chipset with an octa-core (Cortex A73 2.4 GHz + Cortex A53 1.8 GHz) CPU setup along with 4GB of RAM to run Android Nougat. The Huawei P10 will be available in 32GB, 64GB and 128GB internal memory variants. The cameras on the Huawei P10 also feature PDAF, Laser and Depth Auto Focus. The Huawei P10 is powered by a 3200mAh battery. We have to mention that Huawei P10 features a fingerprint sensor as well. 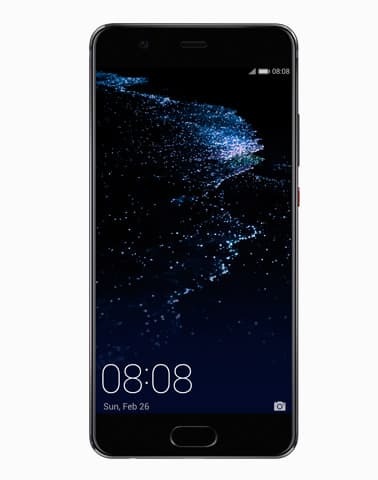 The Huawei P10 Plus features a larger 5.5inch screen with 2K resolution. We find the same Kirin 960 chipset but this time the RAM has been beefed up to 6GB in certain variants of the smartphone. The Huawei P10 Plus may have a larger screen size but it has to make do with the same 3200mAh battery. Prices of Huawei P10 start at 649 Euros and a Huawei P10 Plus will set you back by 699 Euros. Both the smartphones will be available in select markets from March.